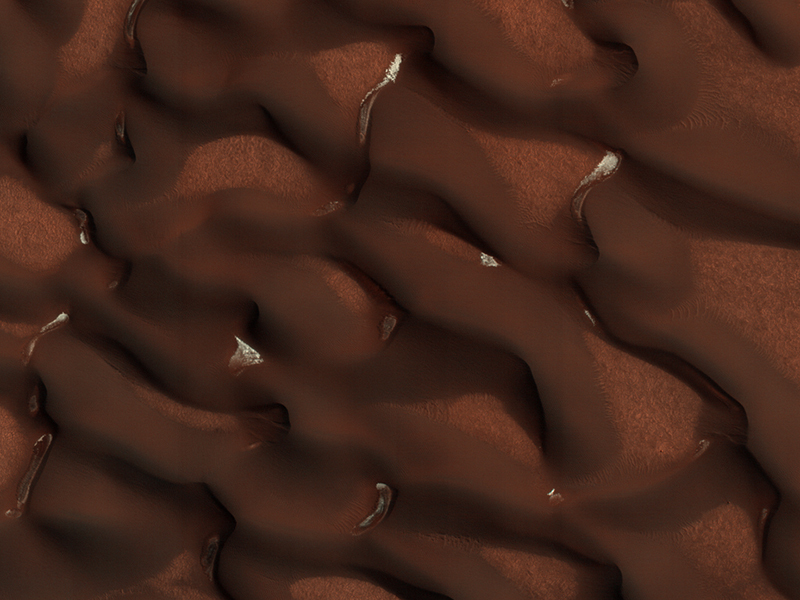 The North Pole of Mars is surrounded by a vast sea of sand dunes. In this dune field, the dunes are covered by a seasonal cap of dry ice in the winter. 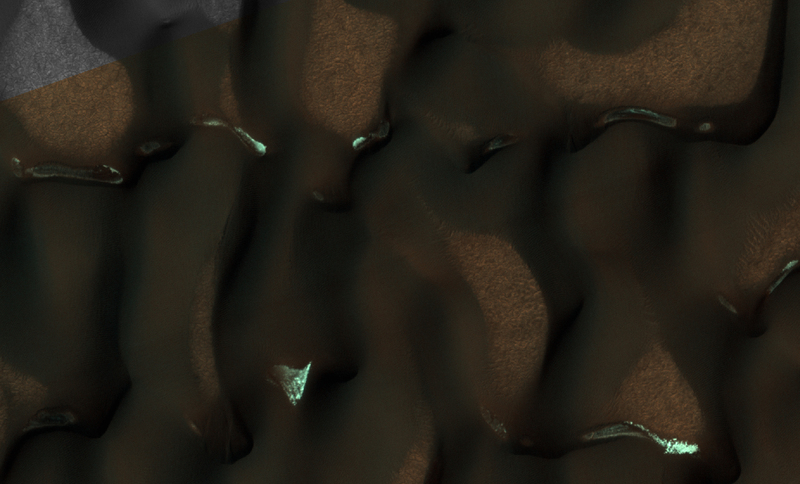 In early Martian summer, at the time we acquired this image, the dunes are almost free of their seasonal ice cover. Only pockets of ice protected in the shade most of the day remain. This is a stereo pair with ESP_053377_2570. Hale Crater is a large impact crater (more than 100 kilometers) with a suite of interesting features such as active gullies, active recurring slope lineae, and extensive icy ejecta flows. 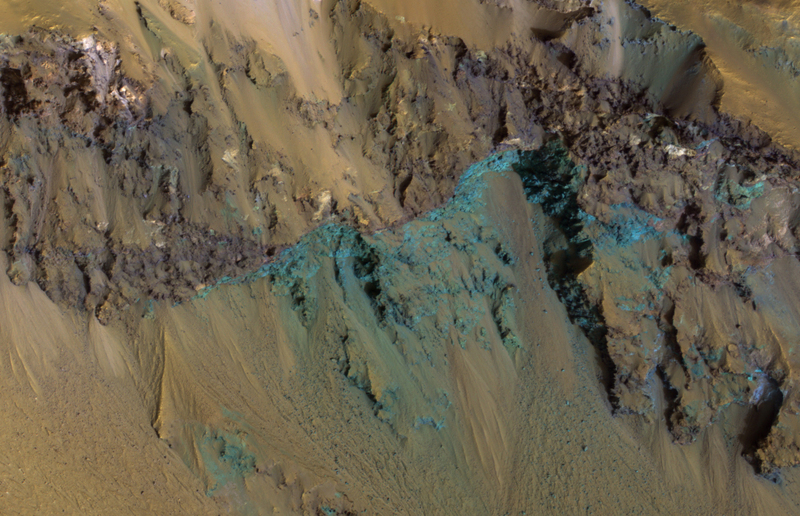 There are also exposed diverse (colorful) bedrock units. NB: North is down, so that the slope is down to the bottom of the cutout and illumination from upper right. 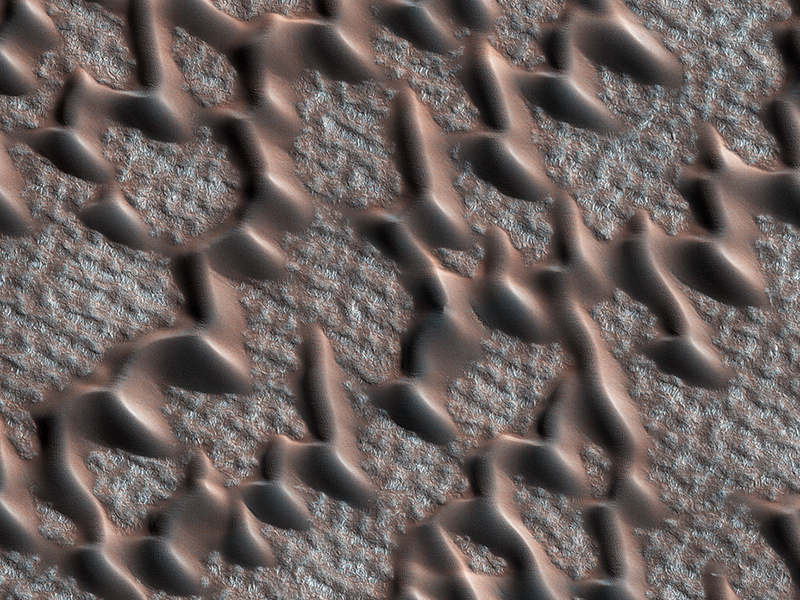 The permanent polar cap of Mars is encircled by sand dunes and looking like pulled threads, these dunes march across a fabric of patterned ground. At this time of the Martian year they are free of the seasonal dry ice that forms a temporary cover every winter. 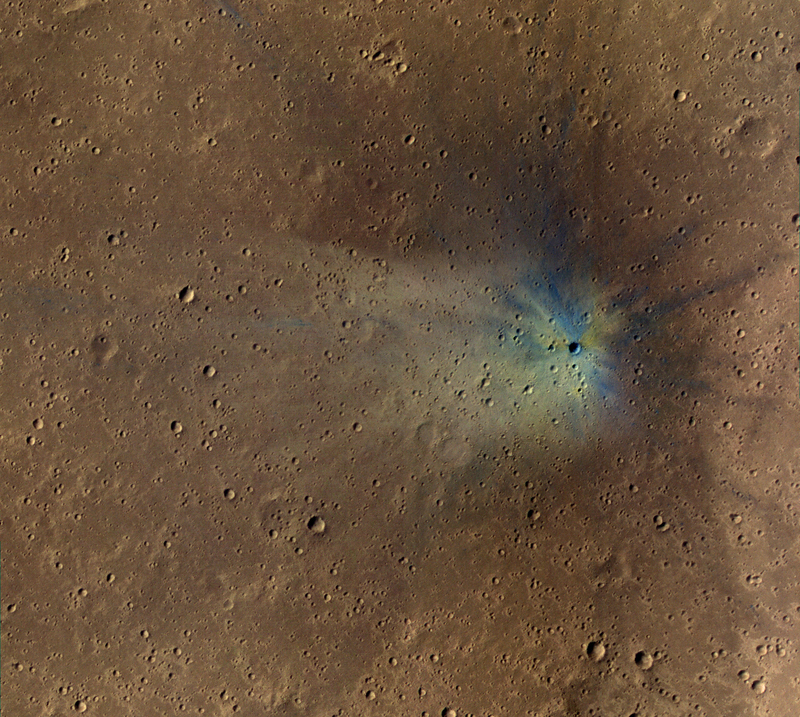 MRO keeps finding new impact sites on Mars. This one occurred within the dense secondary crater field of Corinto Crater, to the north-northeast. 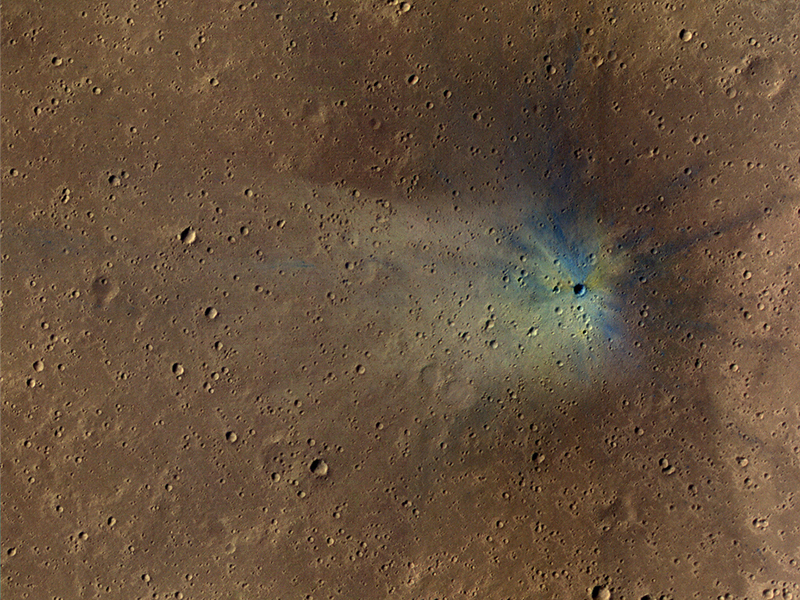 The new crater and its ejecta have distinctive color patterns. Once the colors have faded in a few decades, this new crater will still be distinctive compared to the secondaries by having a deeper cavity compared to its diameter. 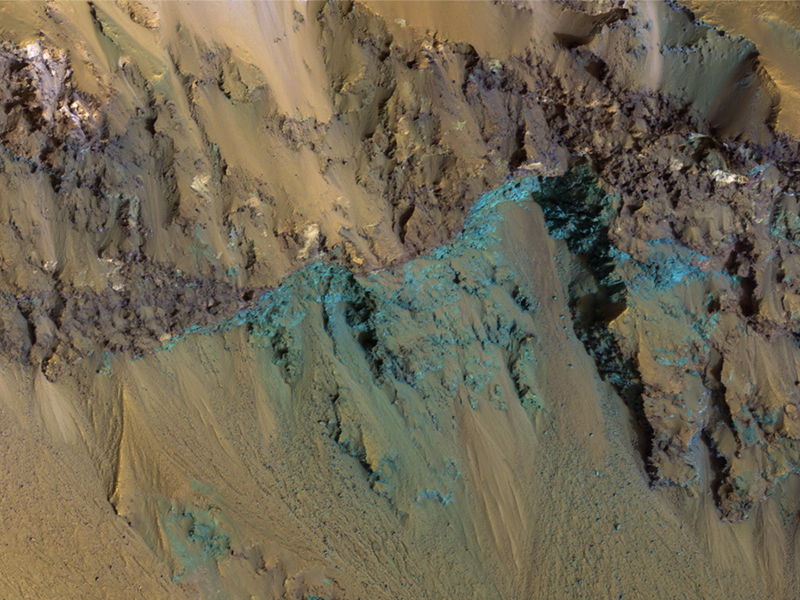 This is a stereo pair with ESP_054035_1915.